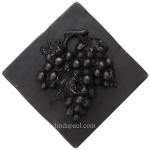 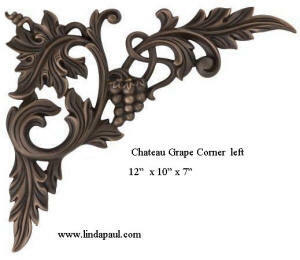 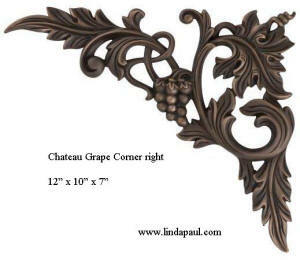 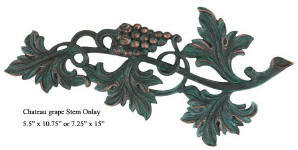 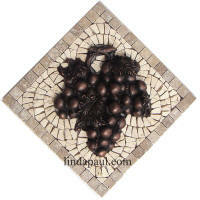 Grapes decor collection of accents and onlays for kitchens, wine cellars etc. 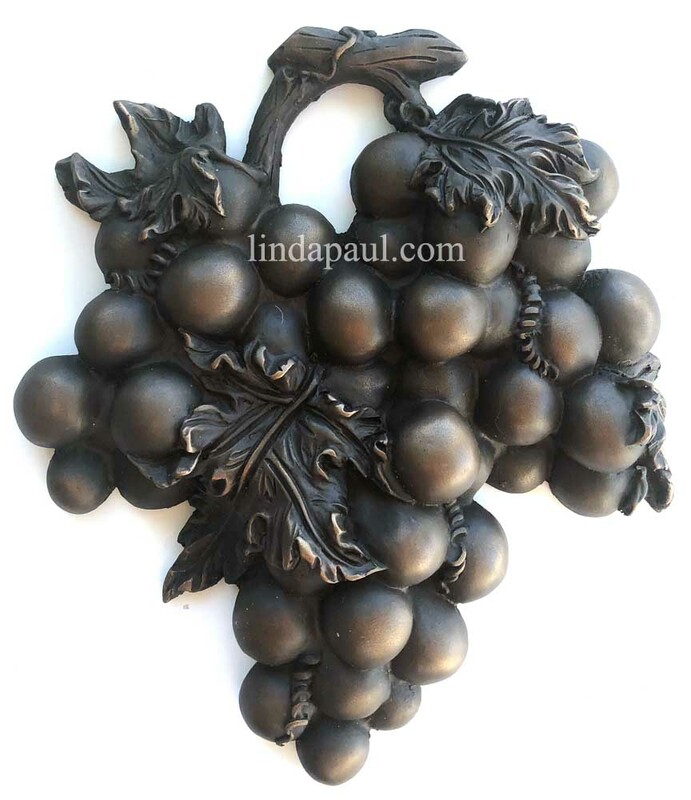 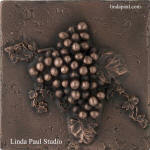 These beautiful grape decorations can be glued onto tiles, stucco walls, wood or any material. The relief and 3-d effect on these tiles is amazing. They can be used indoors or in outdoor kitchens and patios. 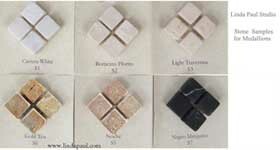 The following accents are high quality metal coated resin. They are available in many different finishes (see bottom of page for samples) They are lovingly hand-crafted in the USA. 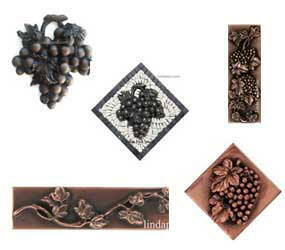 We have 4 in stock in bronze oil rubbed, 5 in stock in bronze antique patina and 5 in stock in copper antique patina and 2 in nickel silver high polish. 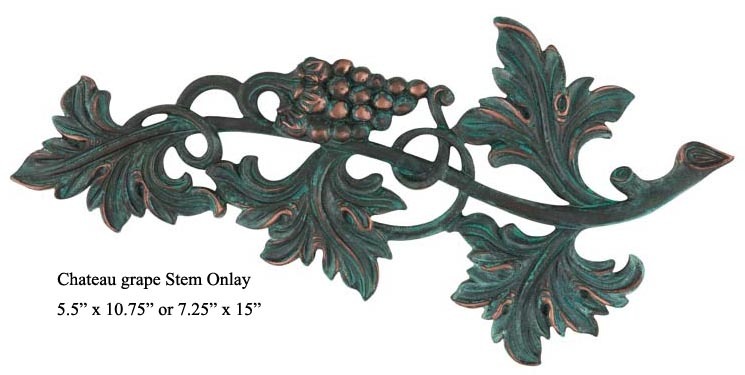 These colors ship right away. 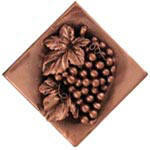 shown above copper highlight polish. 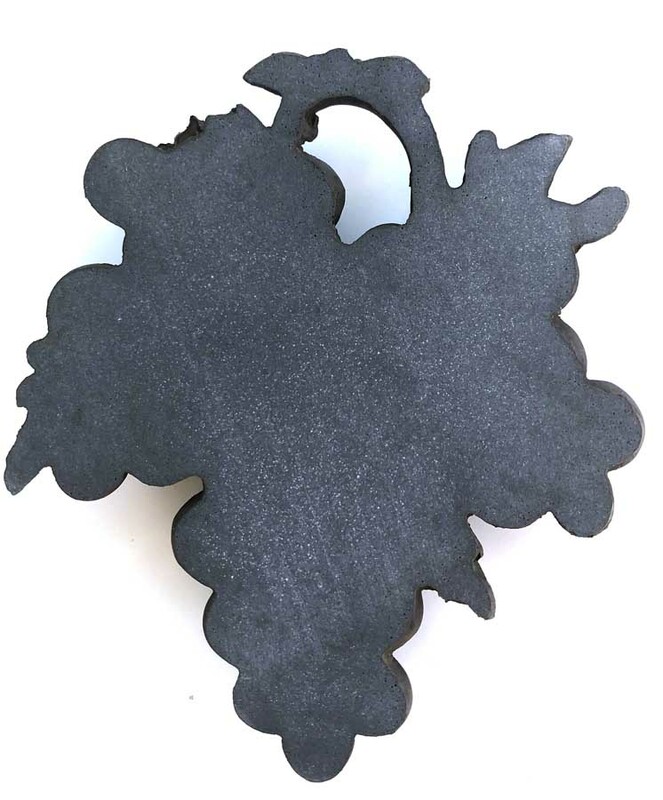 shows side view of bronze oil rubbed. 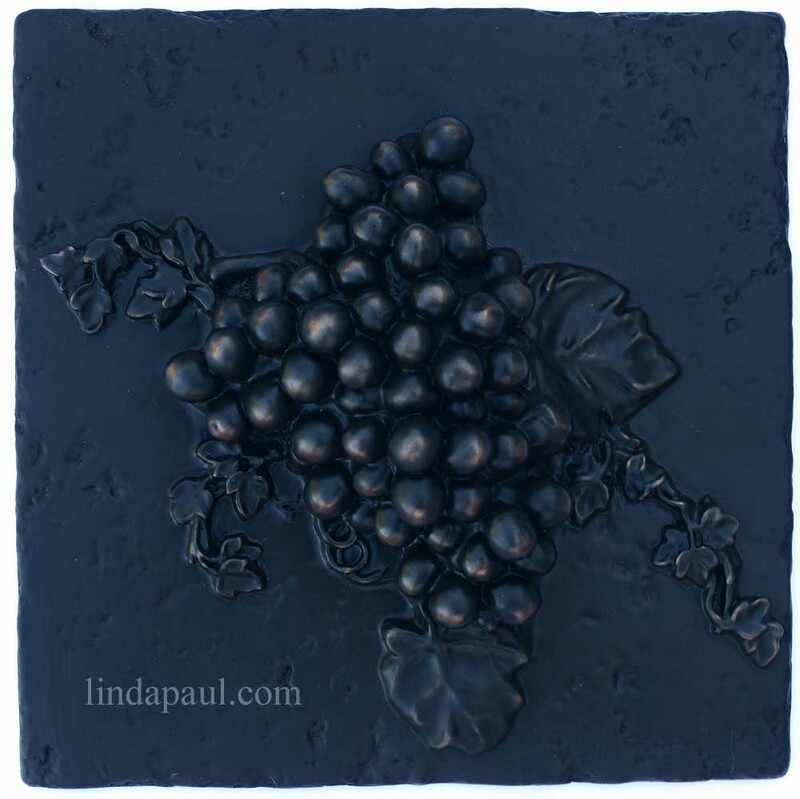 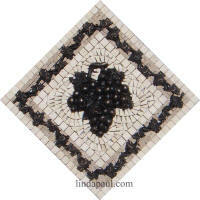 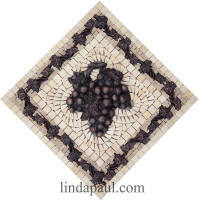 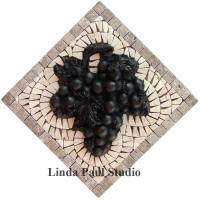 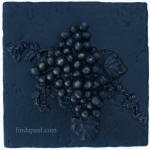 Le Grape 2.5" x 2.5" - Place diagonally or horizontally between tiles. 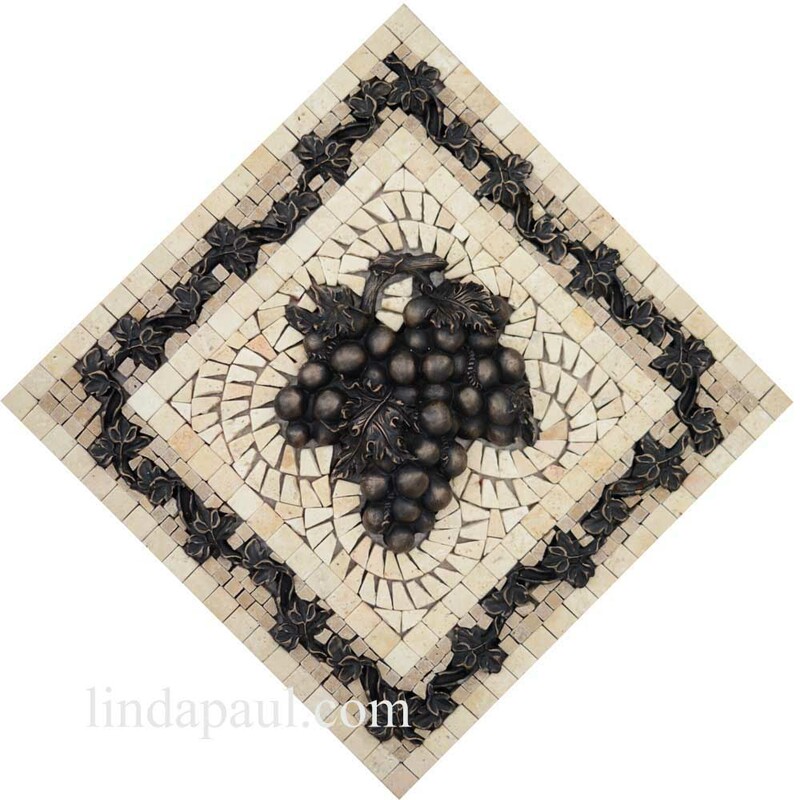 Tile part is 1/4" thick, to top of grape is 7/8"
Le Grape Liner 7.75" x 2.5"
Le Grape Liner/Border 7.5" x 2.5"
Vine Liner Border 11.25" x 2"
Viner Liner Border 11.25" x 2"
Our diagonal grape 8" x 8" tile in a white subway tile backsplash. 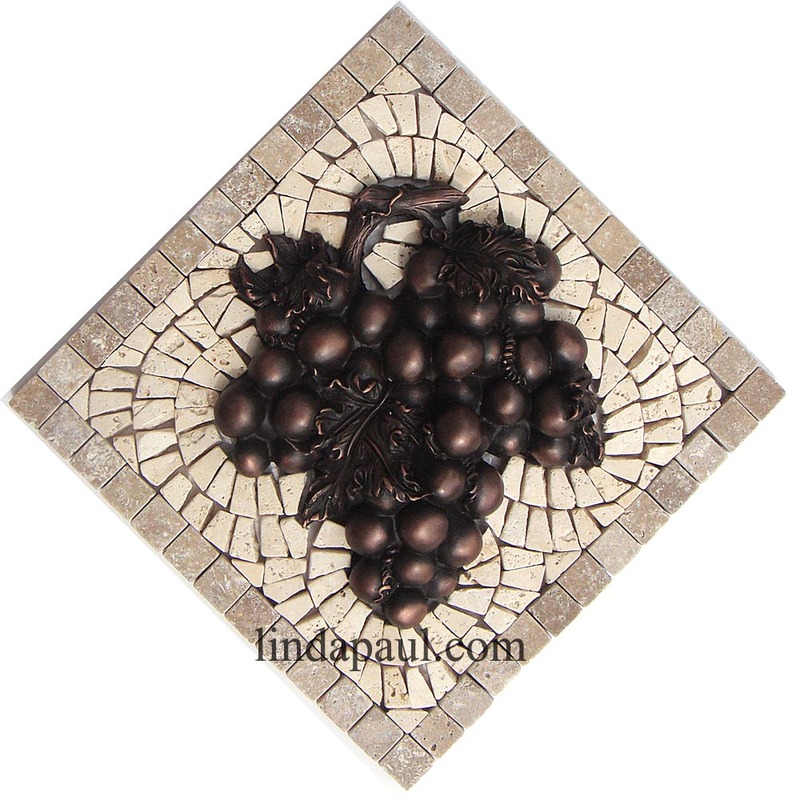 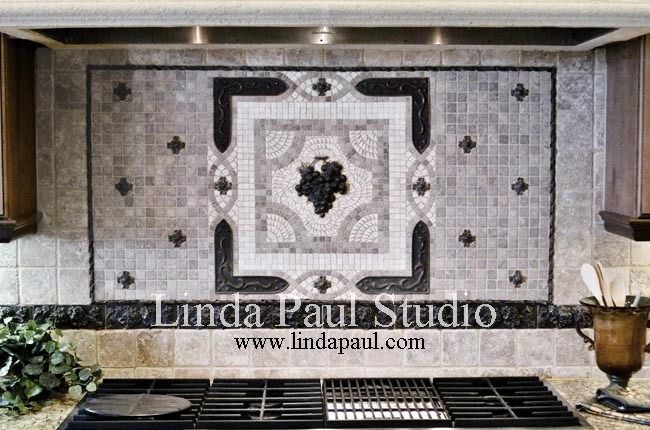 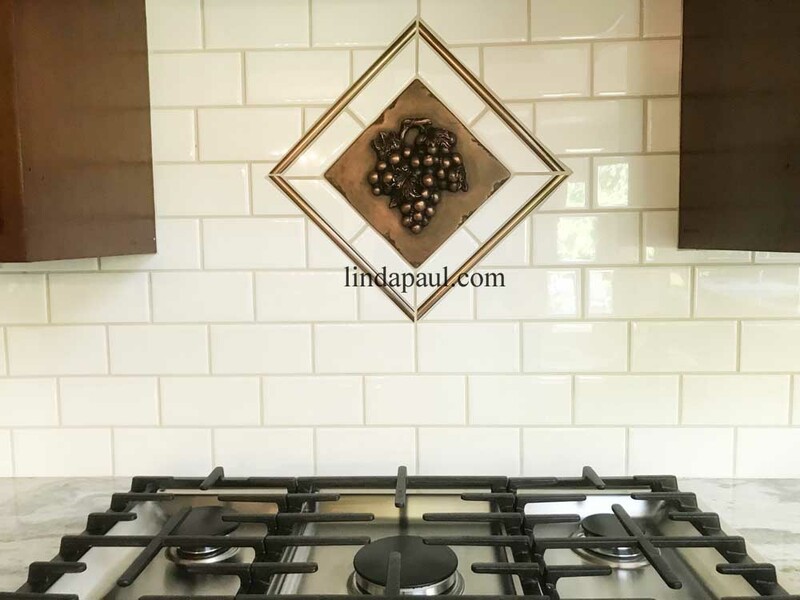 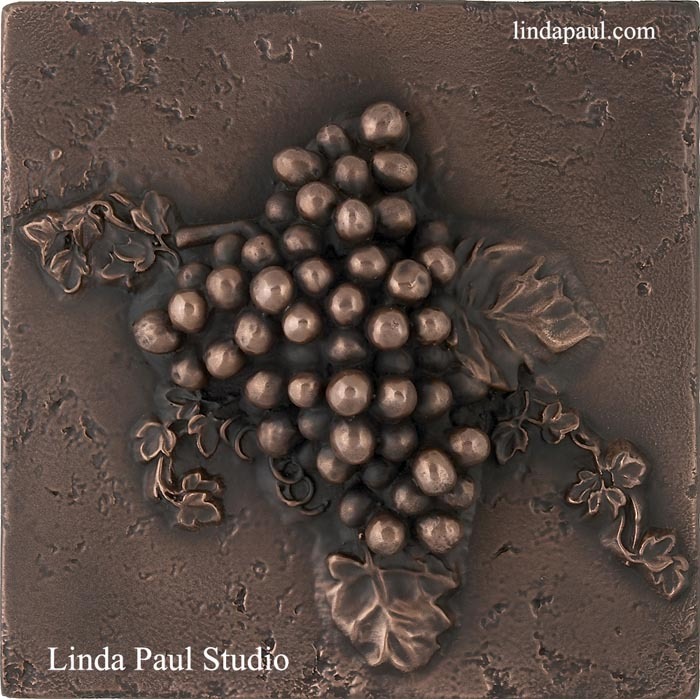 A creative border was made by cutting some of the subway tile narrower and surrounding the grape with it, then a metal tile border. 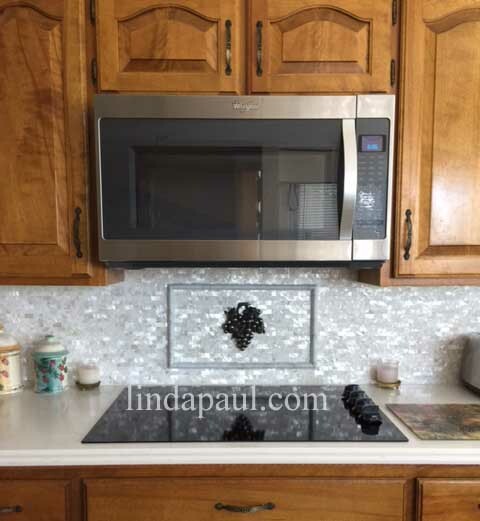 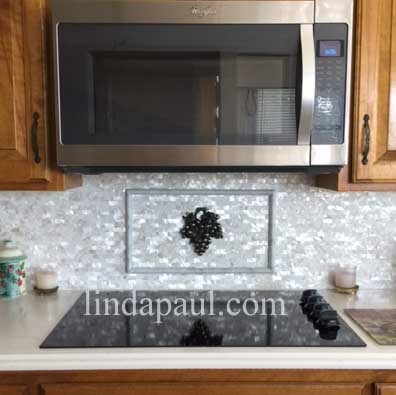 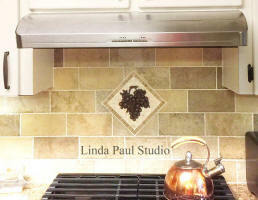 Here is a simple design solution for a decorative tile accent for that tricky space between your stove and microwave. 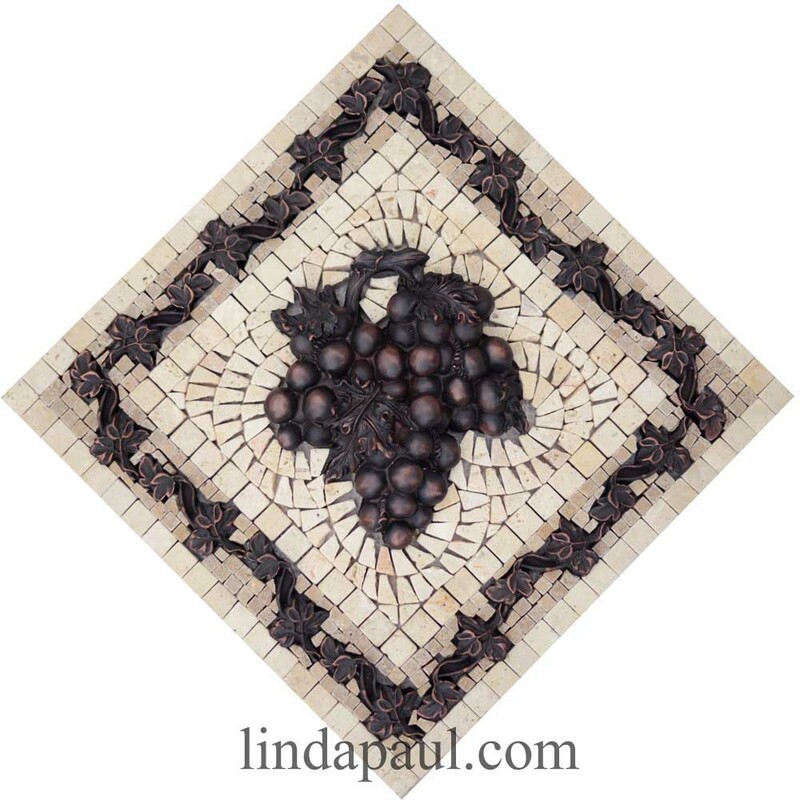 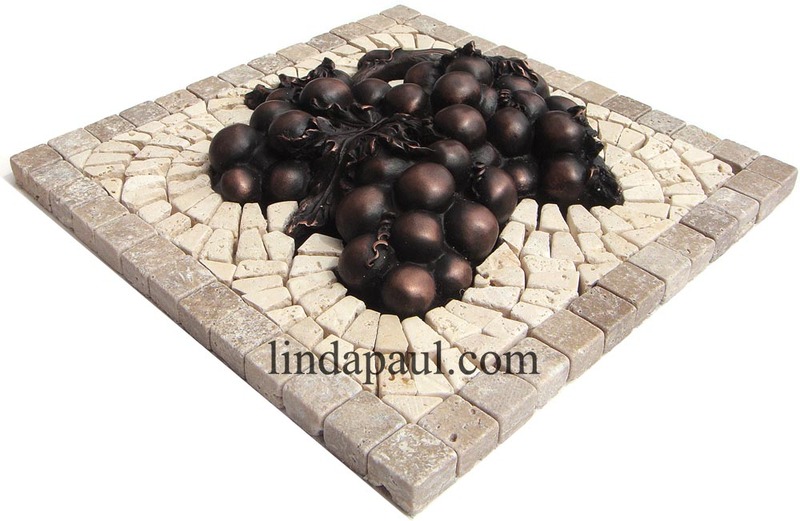 Just a single one of our Vienna Grape glued on top of grey pearl tile tile changes this space from boring to pretty! 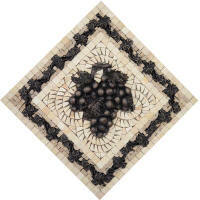 "Many thanks for the Vineyard 12x12 we rec'd when we returned from a short vacation to Florida. 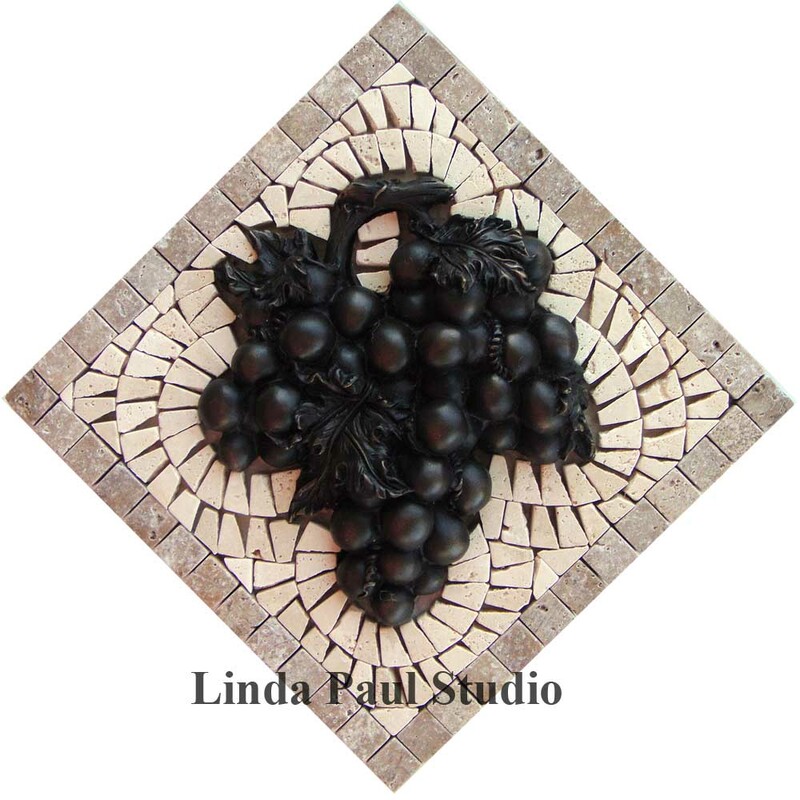 The 12x12 of the grapes is just what we wanted!!! 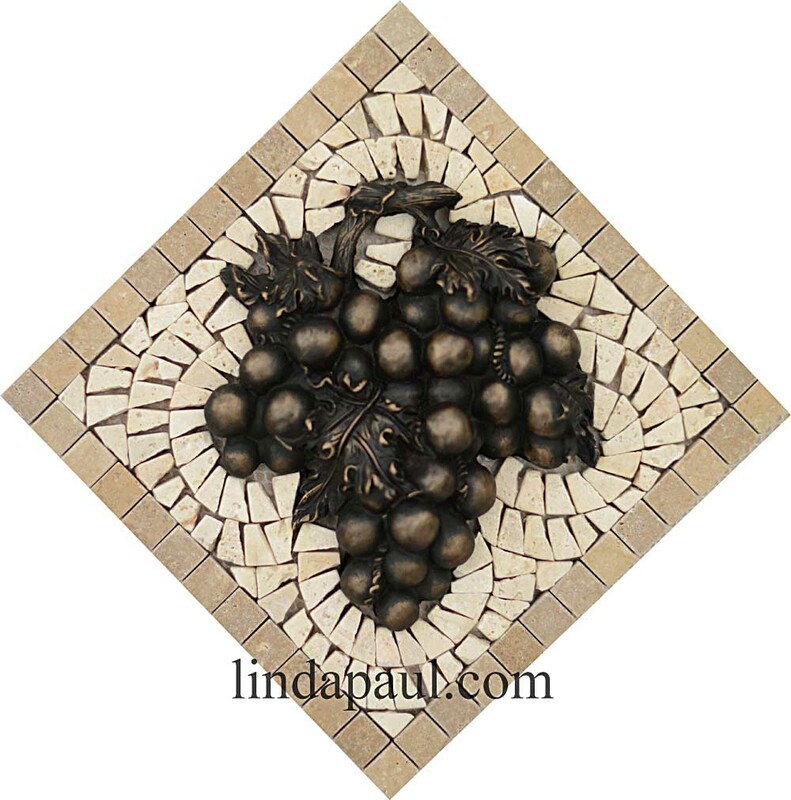 We had a similar tile in our Savanna home but the one we ordered from you was far superior. 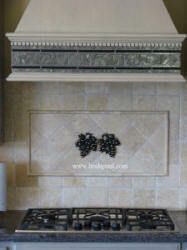 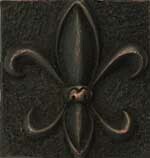 We are building a new home in Aiken, SC and the tile will be the centerpiece of our backsplash. 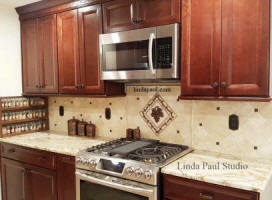 Thanks again, David P. and Cheryl Cooke"